They say everything is in favor of the hitters. That’s what people say. But you can load a ball up now and nobody says anything to you. You can wipe behind your head, go down your leg, go to your cap. They say everything is for the hitters, but, hey man, I don’t ever see anybody get checked for loading balls up. I’ve heard guys say “If you ain’t cheatin’, you ain’t tryin’.” That didn’t come from batters. ~Johnnie B. 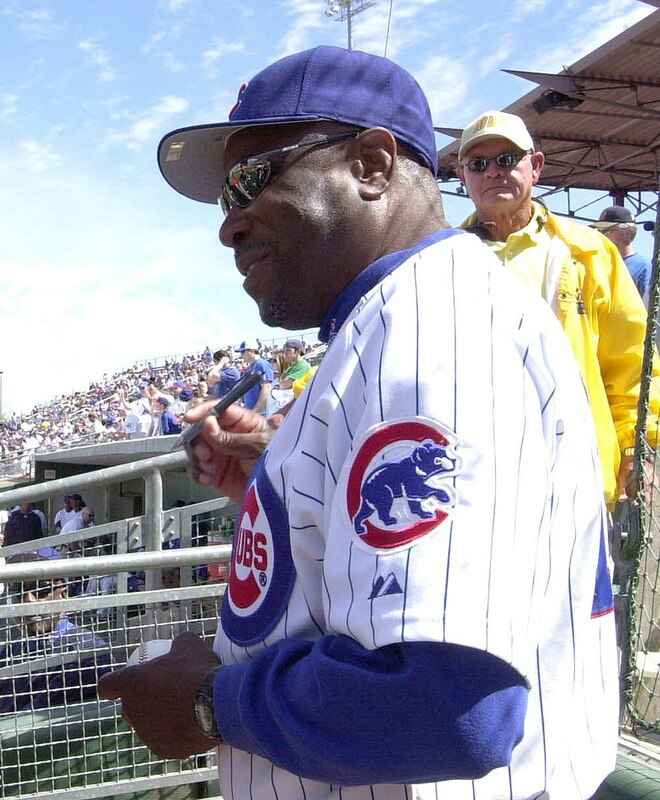 “Dusty” Baker Jr.
Is that a picture of Dusty getting ready to sign a baseball while Mark Prior throws his 125th pitch?